August is always a startling reminder that September is just around the corner (eek -- scary! ), but -- August also means that sweet corn season has arrived -- and for that, I couldn't be more excited! Corn is quintessential summer to me; I have such fond memories of watching my dad at the cottage, shucking corn until he was surrounded by a pile of husks, and then the whole family chowing down on far too many cobs; or the annual neighbourhood corn roast, where the only appropriate way to eat your corn was rolled in butter and doused in salt. When corn is in season, I will make every effort to consume as much of it as I can. We made a barbecue, slightly more complex version of this salad last summer from the best bbq cookbook. Since then, the recipe has been tweaked, simplified and made so many times, it seemed only fair to share it here. Go buy some corn while you can, and enjoy it while it lasts! 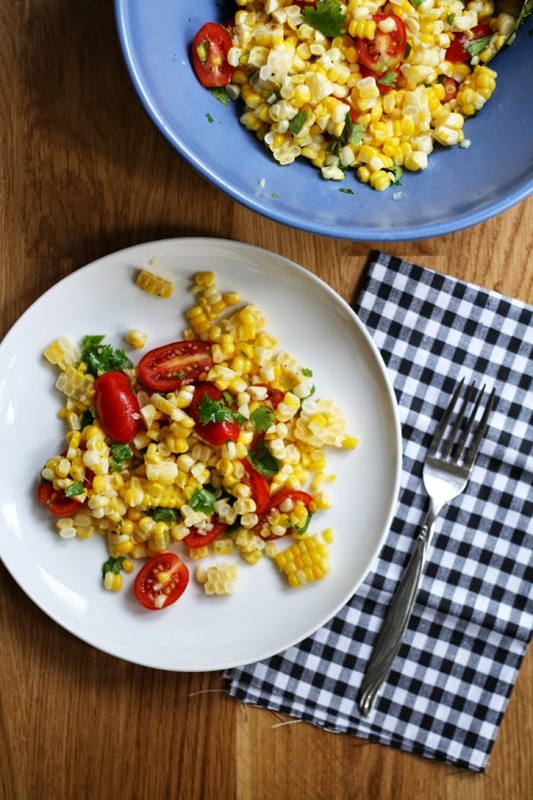 This recipe relies entirely on quality sweet corn - so do your best to track some down. 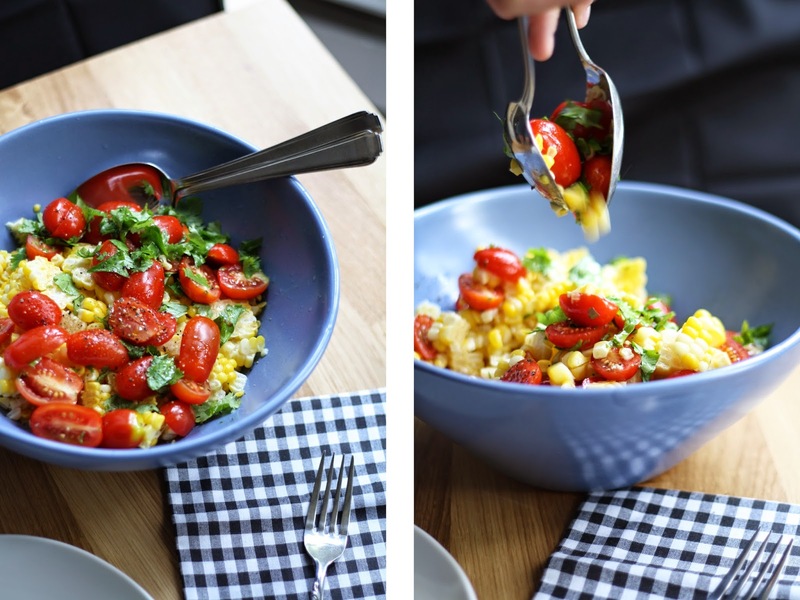 And whatever you do, don't skip the 'milking' step, its what brings this whole dish together. Bring a large pot of water to boil. Gently drop the corn into boiling water and let cook for 3 minutes. After 3 minutes, immediately remove from the hot water and run under cold water to stop the cooking. Once cool enough to handle, use a sharp knife to slice the kernels off the cob - being careful not to cut too deep or the end of the kernels will be tough. Transfer to a large bowl. Standing over the bowl, carefully run the dull side of your knife along the cob to extract any extra juices ('milk'). Add the remaining items to the bowl, toss to combine and taste for seasoning. Adjust oil, lime juice, salt and pepper accordingly. Best made ahead of time, giving the flavours and juices time to mingle.